In paintings and poems (such as Byron's famous 'Mazeppa'), in theater and classical music (including works by Liszt and Tchaikovsky), representations of the horse have changed over centuries, portraying the crucial impact that we've had on each other. Forrest deftly synthesizes this material with her own experience in the field, traveling the globe to give us a diverse, comprehensive look at the horse in our lives today: from Mongolia where she observes the endangered takhi, to a show-horse performance at the Palace of Versailles; from a polo club in Beijing to Arlington, Virginia, where veterans with PTSD are rehabilitated through interaction with horses. 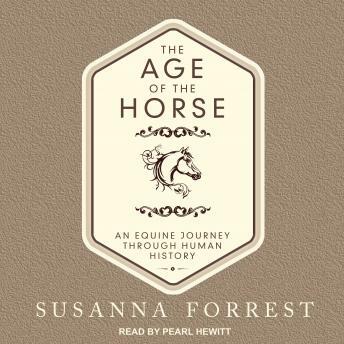 With passion and singular insight, Forrest investigates the complexities of human and horse coexistence, illuminating the multifaceted ways our cultures were shaped by this powerful creature.